We fine-tuned estimates following 4Q18, with DPU of SGD2.83cts in line with both consensus’ and our estimates. We raised FY18E/19E DPUs (1- 2%) to factor in its maiden Italy deal, introduce FY21 estimates and roll-forward our DDM-based Target Price to SGD1.80 (COE: 7.2%, LTG: 2.0%). CDL HOSPITALITY TRUSTS (SGX:J85)’s scale and liquidity, backed by its Singapore AUM, makes it a good proxy to a sector recovery. We see further traction with its overseas expansion given its low 34.2% aggregate leverage and SGD580m in debt headroom. Valuations are well supported at 6.1% DPU yield, with upside risk to our FY20 DPU estimates given RevPAR sensitivities. BUY. CDL Hospitality Trusts’ 4Q18 Singapore hotels’ revenue rose 1.6% y-o-y/4.4% q-o-q while NPI grew 3.3% y-o-y/6.9% q-o-q. This was led by stronger occupancies, up from 83.5% to 85.8% and +2.6% y-o-y ReVPAR improvement. Excluding Orchard Hotel (due to disruptions since Jul 2018 from ongoing renovations through 2Q19), RevPAR rose at a stronger +4.3% y-o-y. We see further improvement in its Singapore NPI to be led by stronger demand fundamentals – 11M18 tourism growth at +6.6% y-o-y is ahead of the +6.4% y-o-y in 2017 and Singapore hotel room occupancy has jumped to between 83% to 92%, the strongest showing since 2013. RevPAR for CDL Hospitality Trusts’ Singapore hotels rose 5.1% y-o-y in Jan’s first 27 days, with momentum expected into 2019. We forecast RevPAR growth of 5-6% in 2019-20E, on volume growth and a pick-up in yields (overall corporate demand seems to be supported e.g. transportation, pharmaceuticals and IT). RevPAR growth was stronger in Germany at +24.2% y-o-y (from +3.9% y-o-y in 3Q18) and Japan at +7.3% y-o-y (from +5.9% y-o-y), on the back of growth in tourist arrivals. 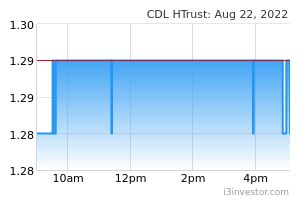 CDL Hospitality Trusts’ Australian revenue and NPI fell 33.4% y-o-y with the divestment of its two Brisbane hotels, and a weaker AUD. Revenue for CDL Hospitality Trusts’ UK hotels was flat and NPI fell 19.2% y-o-y (one-off operating expenses) as RevPAR rose 1.3% y-o-y on higher corporate demand at Hilton Cambridge. 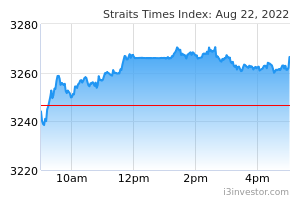 We expect the recovery in Singapore to be driven by easing supply of 1.5% p.a. over 2018-21E versus 5.5% growth p.a. over 2014-2017. We see upside to CDL Hospitality Trusts’ DPUs as the sector is recovering after a four-year down-cycle and from a low base. A 1% increase in RevPAR assumptions from our base case adds 1.3% to our FY20 DPU estimates.